adequate animal housing starts with food. Our main focus is the quality of our products. Our raw meat products and the organic assortment is made in EU-certified companies. Our wide range of various meats and supplements is your instrument for a balanced pet food. More and more animal holders decide to feed their animals with raw meat and bones. Dogs – even Chihuahuas – stem from the wolf. We are talking about carnivores what means that their alimentary canal is focused on raw meat and bones. Beside meat the wolves are eating fruits, roots, lumps, earth but 1-3% carbs from cereals only. Of course the quality and variety of the products have to be guranteed. After testing the animals I generate individual diet plans. 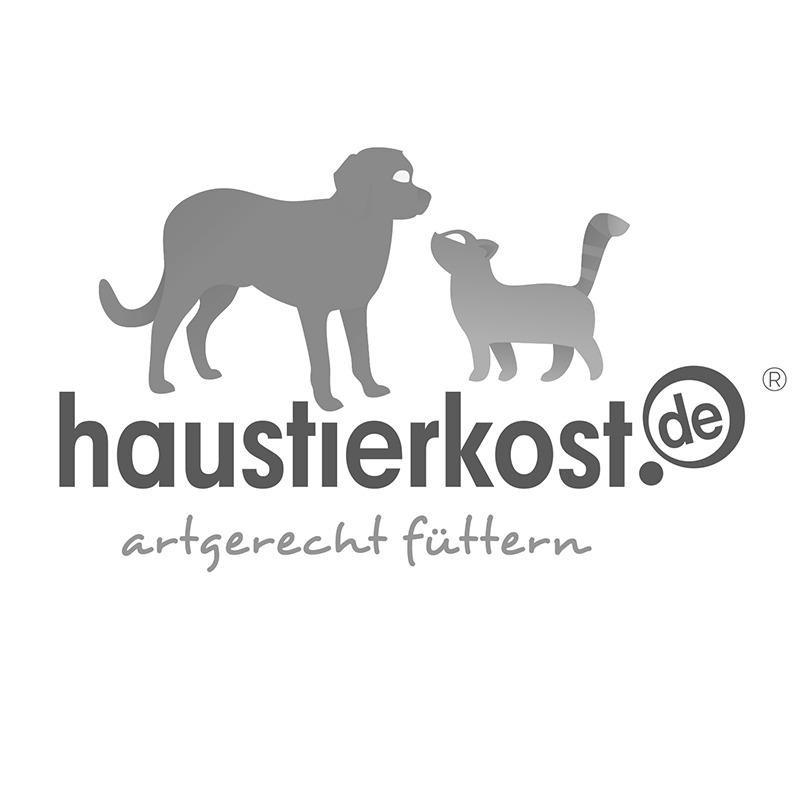 haustierkost.de is my trusted supplier and I can assure top quality, terrific service and reliability.